The popular holiday town of Ballito is situated just 40 kilometres north of Durban along the KwaZulu-Natal shoreline. 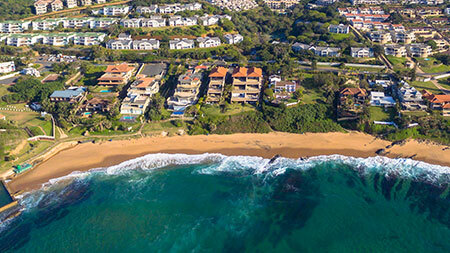 Ballito continues to boom as more people take up residence in this coastal town. With an enviable lifestyle and an easy commute, its easy to see why. No longer just a quaint holiday spot, Ballito is quickly growing up. Staff Quarters, Patio and Balcony. Pool, Elec. Fencing and Sea View. Pool, Sea View and Air con.